Our range of products include paper bags, designer paper bags, printed paper bags, fancy paper bags and plastic paper bags. With the help of our highly talented craftsmen, we are able to manufacture and supply supreme quality Paper Bags. These paper bags are perfect for wrapping gifts, clothing items, groceries and many other materials. 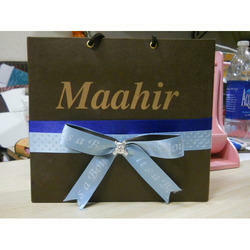 Our paper bags are highly appreciated and demanded by our wide clientele for its excellent strength and durability. We provide customized paper bags in various sizes and labels ideal for clothing shops, stores and many other commercial establishments at very reasonable range of prices. We are one of the leading manufacturers, traders, and wholesalers of a huge collection of Designer Paper Bags that find a wide application for keeping clothing items, groceries, and other items. Offered poly bags are made from optimum quality raw materials, and are extremely popular for their excellent strength and longer functional life. We are the preferred choice of our customers for providing Printed Paper Bags that is provided with elegant print patterns with a ribbon bow at the center. Huge and spacious, these paper bags are tailored under strict supervision of our professionals who make sure of the quality. 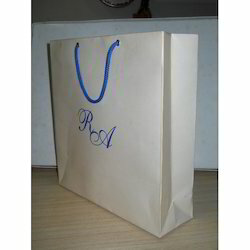 These printed paper bags can be availed at industry leading prices. 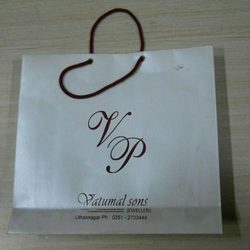 We are the preferred manufacturer, trader, and wholesaler of a huge collection of attractive Fancy Paper Bags. 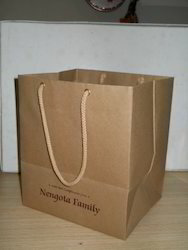 Tailored using quality grade paper obtained from our reliable and trusted vendors, these long lasting paper bags can be availed in a diverse series of sizes. Ideal for keeping groceries, clothing items, jewelry items, and other materials.